A tricky place to find but worth every effort, the RSPB Troup Head nature reserve is open at all times and is best visited between April and September. The cliffs are falling silent at the RSPB’s new nature reserve at Troup Head following the hustle and bustle of the last few months when tens of thousands of seabirds occupied the cliffs for the summer. Seabirds including fulmars, gannets, kittiwakes and auks including everybody’s favourite, the puffin, have made the cliffs at Troup Head their home for the last 6 months. 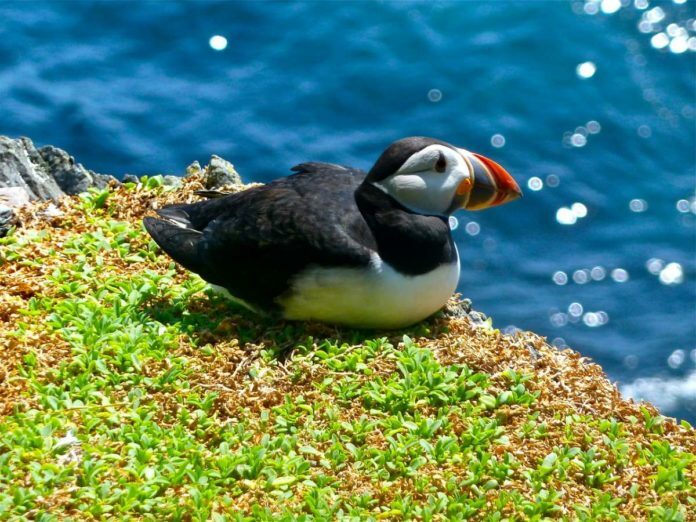 The birds come to the area to breed, attracted by the safe nesting sites on the cliffs and a local food supply. Birds remaining in the colony include fulmars, herring gulls and for a few more weeks, gannets, for which the area is becoming renowned. Karen Crowe of the Banffshire Coast Tourism Partnership explains why a trip to Troup Head to watch the gannets can be a very worthwhile experience. A tricky place to find but worth every effort, the RSPB Troup Head nature reserve is open at all times and is best reached from the B9031, 1.5 miles east of Gardenstown. With dramatic, panoramic views along the Moray Firth and beyond, the site is protected as a Site of Special Scientific Interest and as a Special Protection Area and for seabird enthusiasts, is best visited between April and September. Local boat trips run tours to Troup Head from Macduff and Banff and are a great way to see this spectacular reserve. Contact Puffin Cruises or North 58 for further details.